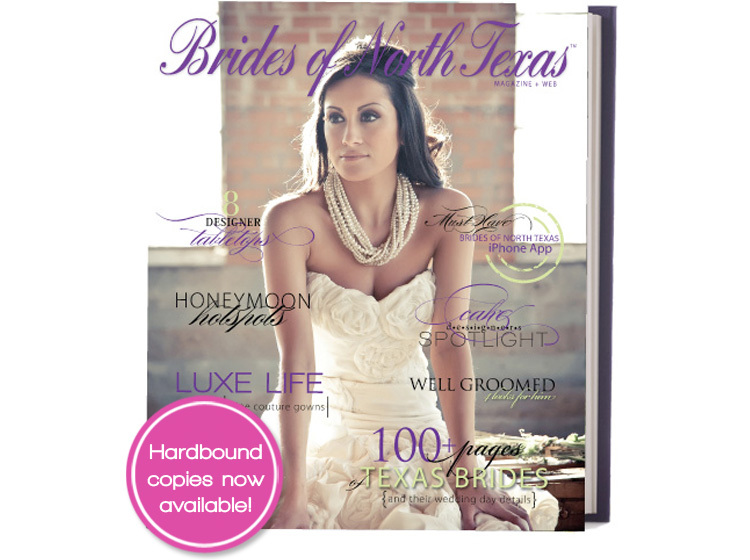 We’re so excited to offer Texas brides the ultra-luxurious, Brides of North Texas hardbound magazine! A beautiful, thick glossy cover and weighty pages, with the original content of the latest issue, make this fabulous book the perfect keepsake! The hardbound issue is gorgeous as a gift or a unique way to save those special moments, a coffee-table book to always keep on display! A limited quantity of hardbound magazines is available, so you’ll want to contact us right away! The hardbound magazine retails for $50 + shipping. Don’t miss out! Click here to order your copy today! « Previous Post: Get Ready, DFW Brides-to-be!